This cute little boy was born 6/9/2007. Surprisingly he is a True black . 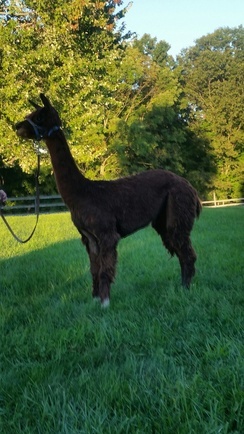 THis boy has the luster, confirmation and fleece and is an up and coming herdsire. He is ready to breed now and we will be using him when our girls are ready. This boy keeps getting nicer. He has beautiful twisting ropey locks with luster galore. 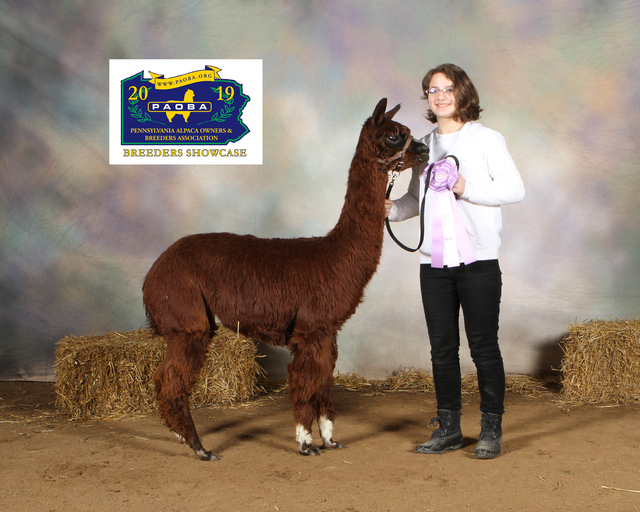 His brother is Allegheny Peruvian Major Black, a multiple blue ribbon winner in conformation and fleece. 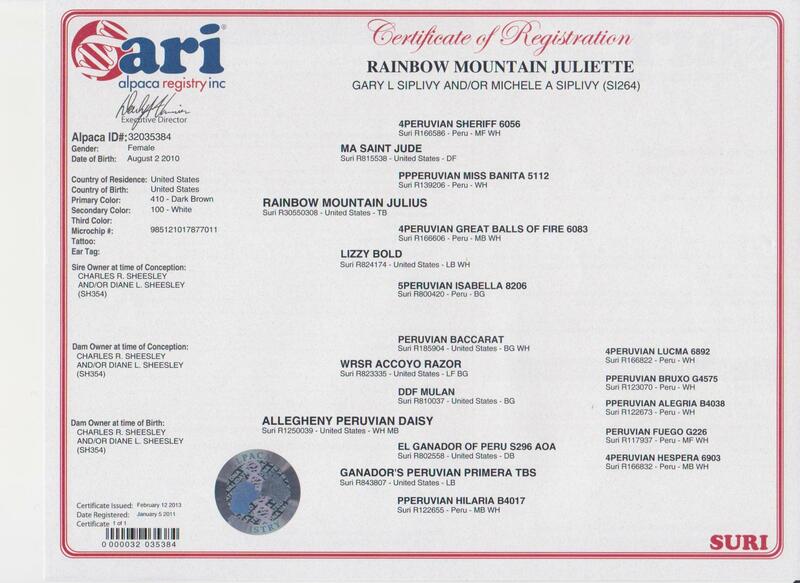 Juliette has excellent confirmation, easy to handle and an excellent mom. She has consistent lock structure uniformity of lock style and staple length ,luster and fineness with density. Juliette would be an asset to any breeding program!!!! 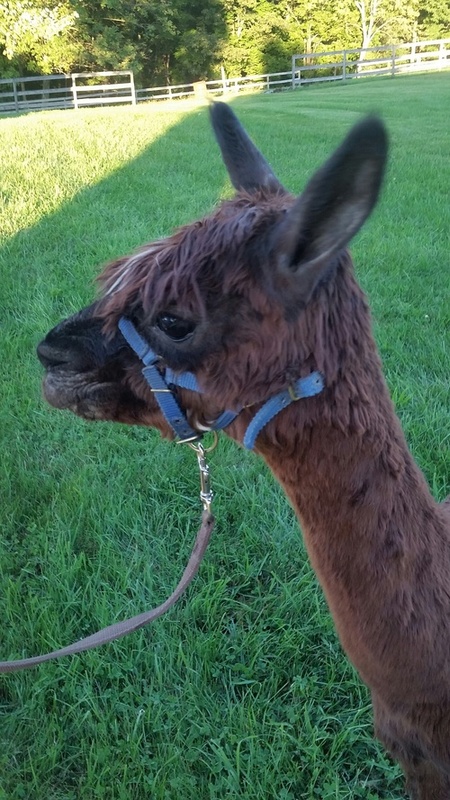 She also has a great craving for the apples that fall from the apple tree in the pasture!!! !